Trevally Retreat, a modern, delightful 3 bedroom holiday home situated in quiet street, few minutes drive from beach and shops. 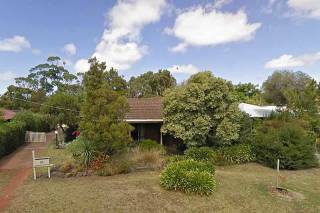 Trevally Retreat is a short drive to Queenscliff, Pt. Lonsdale, Geelong, Torquay, Portarlington olive groves and wineries, St. Leonards and the Bellarine coastal drive, and one hour drive to Lorne via the Great Ocean Road. Trevally Retreat, has 3 bedrooms, main with queen bed, 2nd bedroom with queen bed and 3rd bedroom with 2 single beds. There are two bathrooms and two toilets to support the 3 bedrooms and these include shower, bath and two toilets. A cot is also available. The kitchen, dining and living area is open plan, large, and stylishly furnished and fitted out, overlooking outdoor deck bbq area. The kitchen is fully equipped with crockery, cutlery, pots, pans, bowls and cooking utensils to adequately cater for holiday and bbq meals. The living area has tv, dvd, stereo, ipod doc station. Kitchen includes microwave and dishwasher, and laundry has washing machine. Outdoors on the sunny deck is outdoor furniture and bbq overlooking pleasant low maintenance garden. The house includes gas ducted heating for cooler months and split system air conditioning for the warmer summer days. Trevally Retreat is an ideal holiday home for families or couples offering comfort and style with all amenities required for a peaceful, comfortable holiday or week-end break.